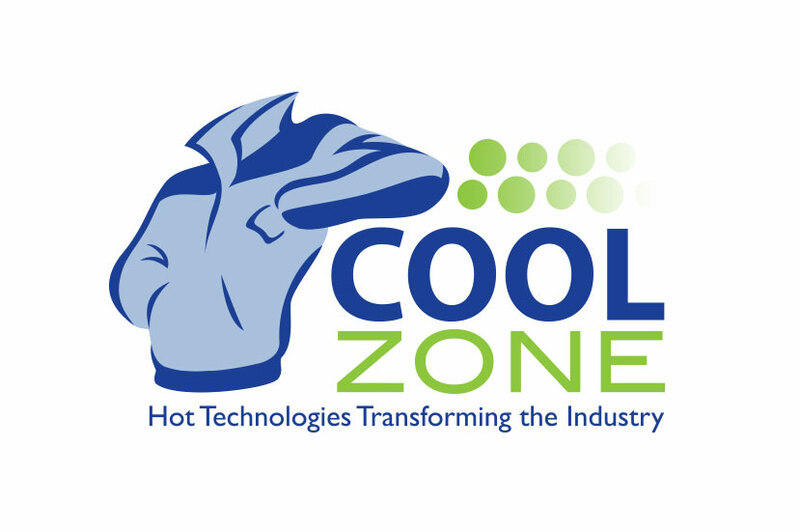 The Cool Zone is a dedicated area at textile conferences that displays and demonstrates cutting edge industry technology. The Cool Zone logo features a jacket and blue lettering to infer coolness both literally and figuratively. The jacket leans playfully against the font. This witty illustrated design gives Cool Zone a youthful and fun look. It enhances the branding, as it compliments the carefree name of the company. By adding in gradient circles above the company name, we were able to create a sort of frame around the title, drawing the viewers eye to important aspects of the design and containing the logo.